Bringing a nice bottle of wine to accompany the food is fairly common practice for someone who is invited to dinner. However, I don't drink wine and know absolutely nothing about pairing wines with food. So, when my good friend, Brian Pridgeon, invited me for dinner, I decided to stick with what I know and brought a bottle of Kozlowski Farms' Pomegranate & Pineapple Roasted Chipotle sauce. The Pridgeon family owns and operates one of the largest pig farms in Southern Michigan so I figured it was a safe bet he'd be serving pork. I chose the Kozlowski Farms sauce because I really enjoyed the sweet and smokey flavor of their Apricot & Mango Roasted Chipotle sauce. I had similar expectations for the Pomegranate & Pineapple sauce. As expected, Brian had a nicely trimmed pork loin ready for the grill when I arrived. He lightly coated it with oil and seasoned it generously with McCormick Grillmates Cinnamon Chipotle rub. He then seared the loin on all sides before reducing the heat and allowing the pork to cook through. Kozlowski Farms' Pomegranate & Pineapple Roasted Chipotle sauce turned out to be a perfect compliment to the salty rub. We used the sweet sauce as a dip for the grilled pork loin. The chipotle flavors in both the sauce and rub blended nicely. 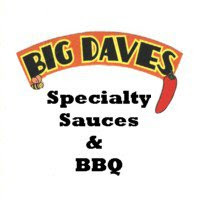 Like the apricot & mango sauce, this sauce had a very sweet initial taste. It also finished with a pleasant smokey spice. The pomegranate & pineapple sauce wasn't quite as thick as the apricot & mango, but it was still thick enough to cling to the meat as it was dipped. The flavors of the two sauces are quite similar despite different fruit being used in each. They're so similar that I'm not sure that I prefer one over the other. Both are exceptional. I can't remember the exact adjective that Brian used when he first tasted it, but he certainly approved. Add dipping sauce for grilled pork loin to the growing list of uses for Kozlowski Farms' chipotle grilling sauces. Click the title of this review to learn more about Kozlowski Farms and their various gourmet products. You can also read my review of their apricot & mango sauce here. 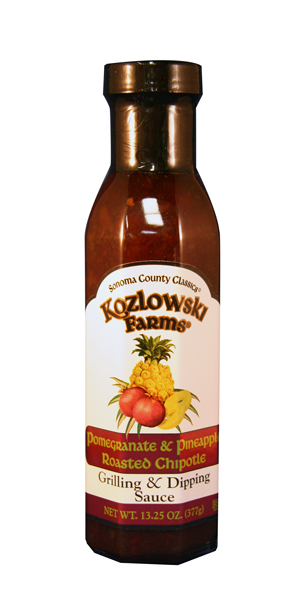 The rating for Kozlowski Farms' Pomegranate & Pineapple Roasted Chipotle Grilling and Dipping Sauce can be found on the "Product Reviews" page. 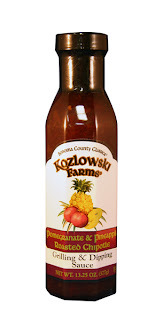 0 Response to "Kozlowski Farms Pomegranate & Pineapple Chipotle Grilling Sauce"